The Ryukyu Golden Kings, the youngest on average ever, is ready to take on season 2013-14 under Head Coach Tsutomu Isa. Fired up! – That’s the best term to describe the Ryukyu Golden Kings, who with four pre-season wins already under their belt, are ready for this weekend’s launch of the Basketball Japan League season. The Golden Kings are already one of the most popular entertainment features in Okinawa, and this year the team’s tweaking their act to make the hardwood performances even more entertaining for the audiences. The Golden Kings slogan is “Cheer Okinawa Up!”, and both management and players say they’re committed to promoting the team in a way that leads the spectator growth, particularly with terms of a foreign audience that has increased in each of the past several years. The season kicks off this weekend on the road for the Golden Kings, taking on the Oita HeatDevils. but they’ll be on home turf next weekend for a pair of games on the 12th and 13th against Tokyo Cinq Reves. Tickets are available for all home games at Family Mart in Okinawa, ePlus online ticket site, AEON Okinawa or Sports DEPO, and of course, at the Golden Kings official site, too. Japan Update will follow the Ryukyu Golden Kings throughout the season, and the team’s Facebook is also a source of information. 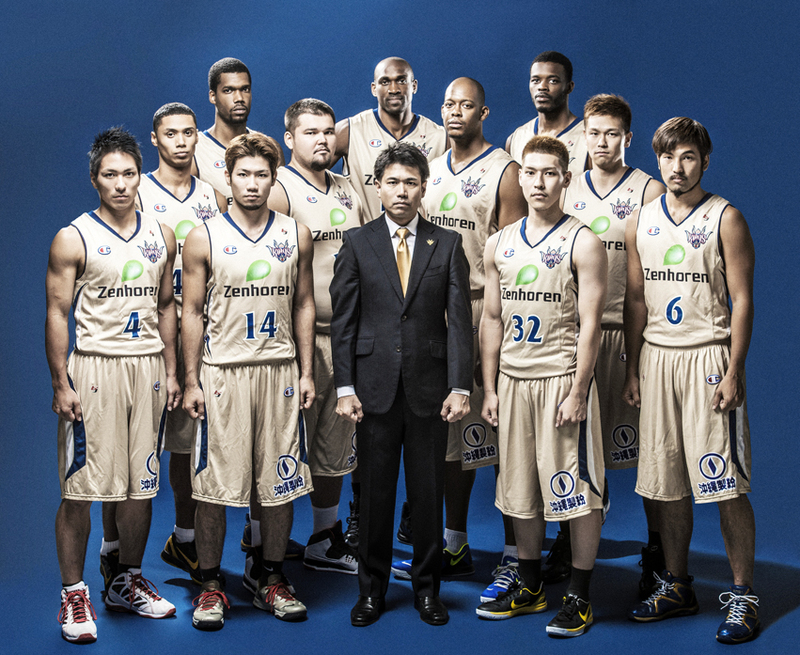 The official website is http://www.okinawa-basketball.jp/. Japan Update is also planning an international bus tour for watching the Golden Kings in action. For details see an ad in near future issue. We might underestimate this season’s squad, and maybe most fans are thinking the same way, because a lot of members left the Kings during the off-season. The losses, as well as the head coach change on such a strong squad surprised everyone, but still, they did lose the championship. Owner Tatsuro Kimura has changed the style of the Kings. He changed the head coach Koto Tohyama, even when his team set a new record in the number of wins in a season. Kimura’s thinking is centered on teamwork, and not individuals going on their own. He said the lack of team work probably cost the team the championship last season. Then Kimura hired different foreign players and formed an almost Okinawan squad for this season. Superstar Narito Namizato left, former captain Tsubasa Yonamine left, newcomer star player Terrance Woodbury left, great center player Dzaflo Larkai left, and tough player Yosuke Sugawara left. Just about everyone who was disappointed with Kimura’s decisions has done something of a turnabout after watching pre-season matches. Four wins in a row, the last just last week, show that the reorganized Golden Kings are performing as a team already! The newcomers are playing very, very well! All round player Scootie Randall works great both at offense and defense, center Kibwe Trim shoots and hauls in rebounds great! Masaya Karimata from Miyako island plays as a veteran even though it is only his second season as a professional, and Shinji Yamashiro is a good mood-maker as he cheers the squad up, anytime, anywhere. We see now, it is the teamwork that is the new Kings’ style. It’s the youngest team since Kings first formed, but that’s why they have great potential. Let’s see how they will improve! Go! Go! Kings! !